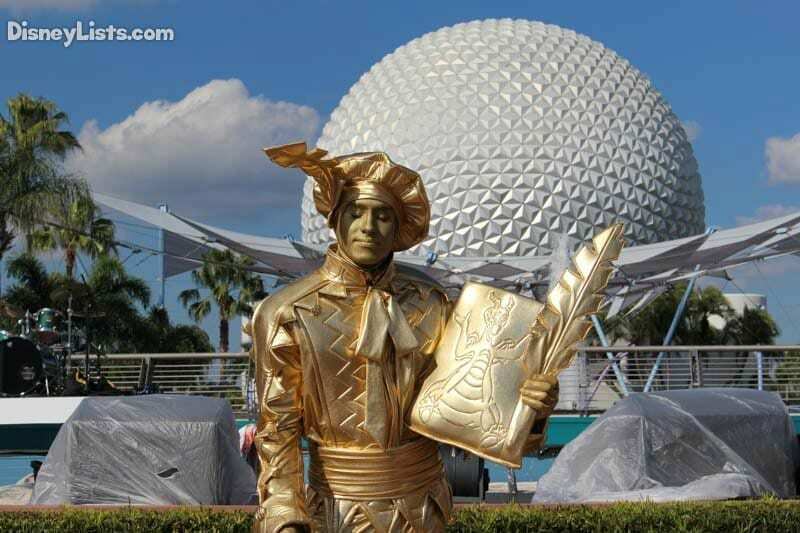 Epcot International Festival of the Arts at Walt Disney World Resort will launch its annual celebration of the visual, culinary and performing arts beginning Jan. 18. The popular event will continue for 39 days through Feb. 25, 2019, with more live music than ever before, along with fresh tastes to savor and new artwork to admire and bring home. Check out all the details below. The concert series is included with park admission; showtimes are 5:30, 6:45 and 8 p.m. nightly. The Disney on Broadway Concert Series Dining Package is available at participating Epcot restaurants and guarantees show seating; package bookings open Nov. 8, 2018, at Disneyworld.com. 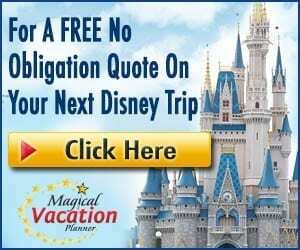 Reservations can also be made by calling (407) WDW-DINE. Guests may fan their inspirational flames by bringing a piece of the festival home with them. Art collectors and Disney enthusiasts alike will find artwork for sale throughout the entire park, from the Art of Disney store to Festival Markets. In addition, special merchandise will be available at Mouse Gear and other Epcot locations featuring the festival’s logo adorning shirts, mugs, totes and other charming items. Everyone’s invited to grab a paintbrush and help create a wall mural along World Showcase Plaza. Guests of all ages will have the opportunity to literally step inside works of art and take fun photos, such as the “Washington Crossing the Delaware” Artful Photo Opportunity. Disney artists’ work will be exhibited across Epcot. Gravity-defying feats of strength, acrobatics, and many performing artists are scheduled throughout the festival. Details on workshop registration will be released soon. 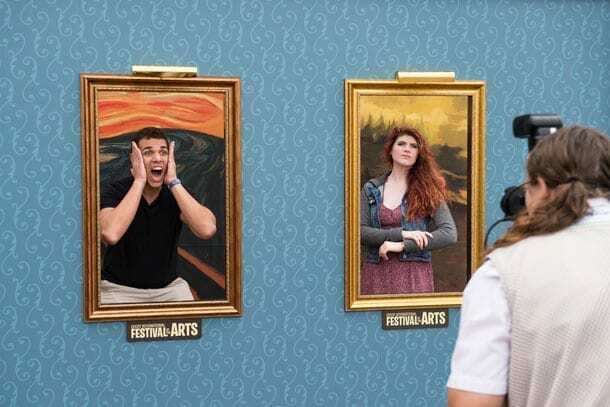 For more information on the 2019 Epcot International Festival of the Arts, visit DisneyWorld.com. 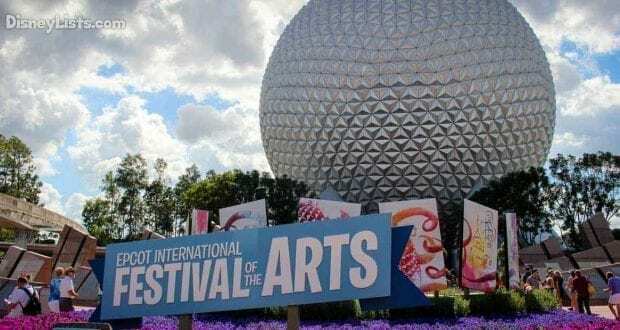 Disney loves special events and festivals and the latest addition to the line-up in a brand-new festival celebrating the arts that takes place at Epcot. The festival is a celebration of visual, culinary and performing arts. You might be wondering if Epcot needed another festival (this makes four), but the answer is yes! We enjoyed walking around Epcot and taking in the sights, sounds, and tastes of this fun, new offerings. 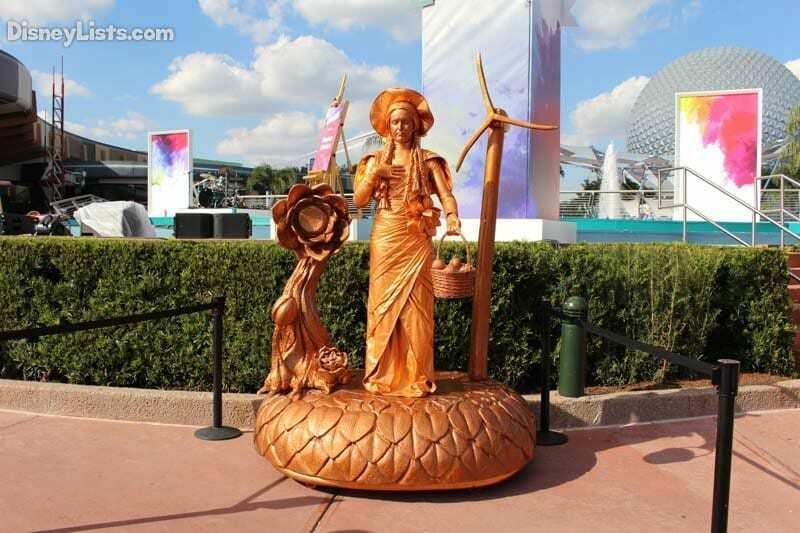 Here are the 10 things you need to know about the Epcot International Festival of the Arts. Unlike its first year when the festival only ran on weekends, the Festival of the Arts will again remain open seven days a week from January 18 until February 25, 2019. The hours of the festival are 11:00 am – park closing. The festival activities can be found in World Showcase and the Fountain View Stage and Plaza in Future World. Most activities are free, only a few professional artist workshops require an extra fee. You’ll want to pick up a 2019 Festival Passport when you enter Epcot. If you miss it there, they have them all over the park. This is a very handy guide that will give you all the information you need to make your way around the festival. As with the other event passports, you can check off activities and food items tasted. Disney also offers a scavenger hunt, Figment’s Brush with the Masters. For a small fee plus tax, you can purchase a map at Pin Central, Disney Traders or World Traveler. During this scavenger hunt, you’ll be searching for a Figment themed picture frame within each country pavilion. You’ll place the appropriate portrait sticker on the right country on the map. After finding all the hiding Figments, turn in the map at Disney Traders for a prize. In the Odyssey Festival Showplace, you’ll find seminars, interactive workshops and art galleries to explore. Two of the art galleries feature Disney’s Iconic Artists and Disney-Inspired Original Art. You’ll see great works created by Disney artists. 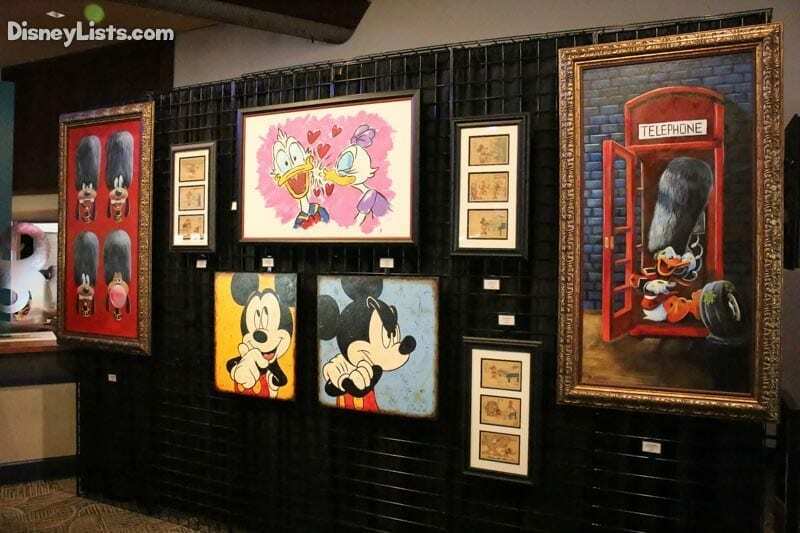 The art in the Disney Original Art Gallery is available for purchase. The complimentary seminars feature popular Disney artists and illustrators. Seminars are at 1:30 and 4:30 pm, Friday-Monday. You’ll also find professional interactive workshops where you’ll pick up tips, tricks and valuable creative techniques from the experts. These workshops are at 11:00 am, 1:30 pm, and 4:30 pm and cover a variety of topics and mediums including, painting, photography, origami, food styling, drawing, soap making, calligraphy and more. Advanced registration is recommended. You can register for the workshops at the Odyssey Festival Showplace. Some workshops require a fee of $39 per person plus tax. 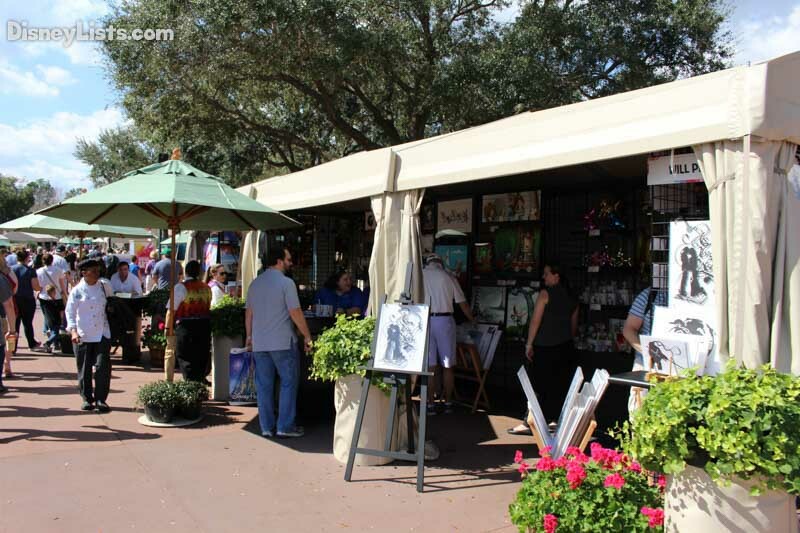 Throughout World Showcase you’ll find many tent locations featuring Disney and visiting artists. You may see some of the artists in action. These tents have a variety of artwork available for purchase. You’ll also find Pavilion Exhibits. Celebrating the performing arts, the Disney on Broadway Concert Series highlights songs from award-winning Disney on Broadway musicals. The concerts take place at the American Gardens Theater, every day of the week this year. Showtimes are 5:30 pm, 6:45 pm, and 8:00 pm. There is a dining package available for the concert series if you would like reserved seating. 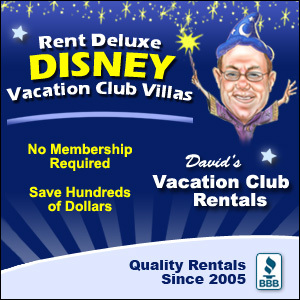 For more information and pricing call (407) WDW-DINE. 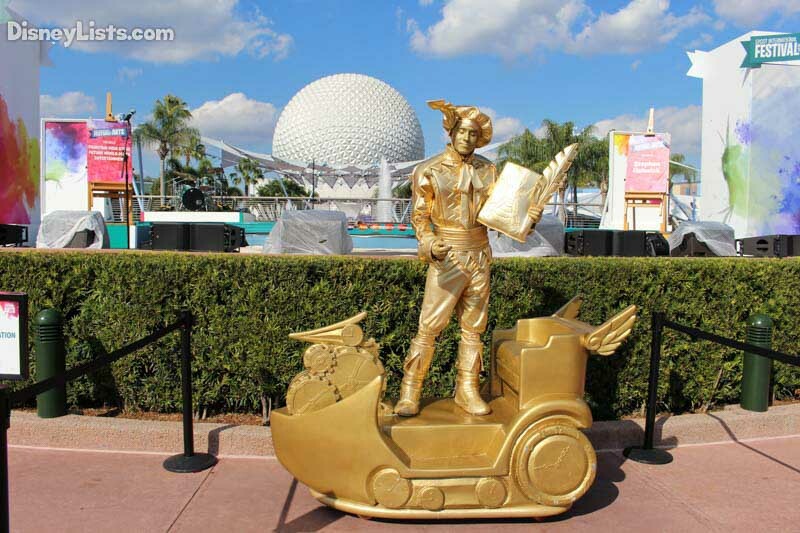 One of the most interesting activities of the festival is the Epcot Living Statues. 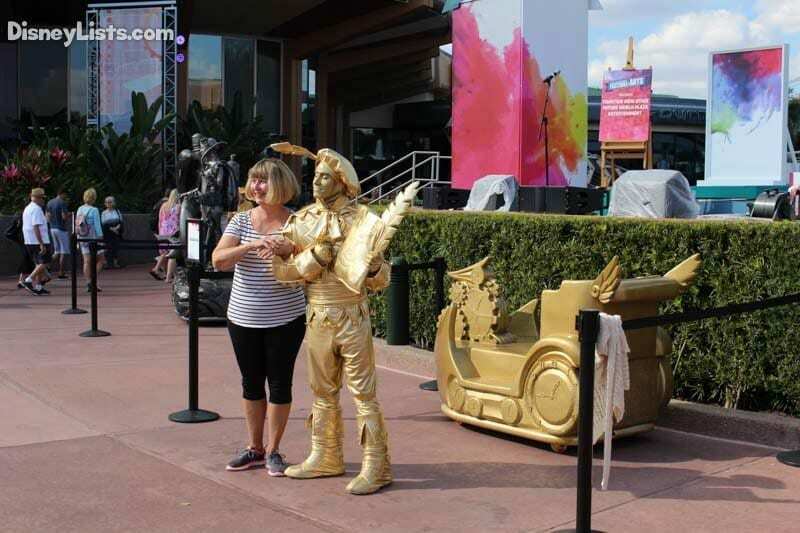 You’ll find these statues at the Fountain View Stage and Plaza. Three statues, all with different theming, come to life in the most unsuspecting ways. It was very fun to watch the surprised guests and statue interactions. 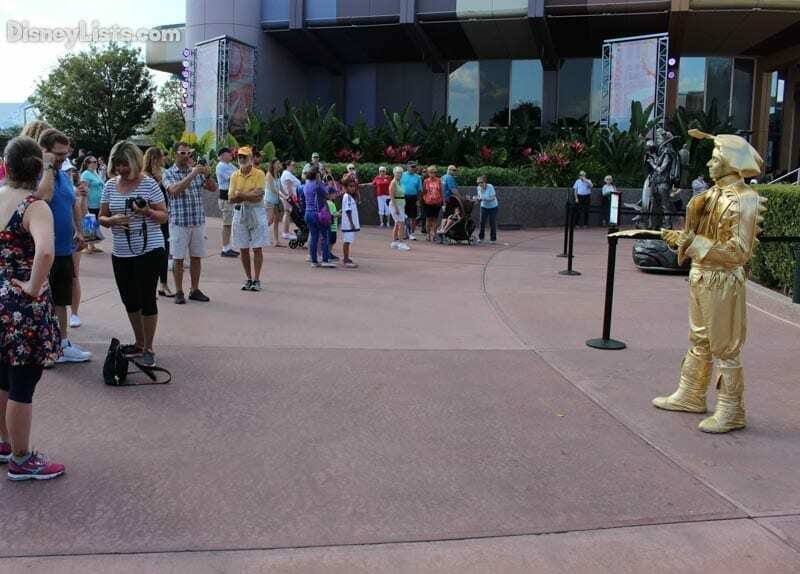 Quite a crowd gathers, but feel free to go up to the statues for a very fun photo opportunity! 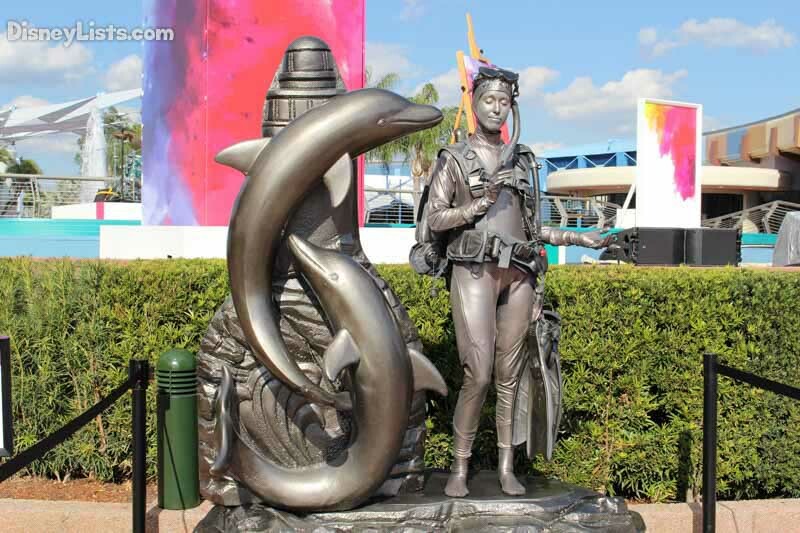 Check out the slideshow below for pictures of the statues. If you’ve always wanted to be in a painting, now is your chance. Disney has created life-size portraits that you can step into. Think you can smile as good as Mona Lisa? Or scream along with Edvard Munch? Or cross the Delaware River as stoically as George Washington? Then plan on stepping in and strike a pose. Disney PhotoPass photographers are there to snap pictures so the whole family can get in on the action. Look for these backdrops at the American Adventure, Italy, the United Kingdom, and Future World Fountain Stage Plaza. 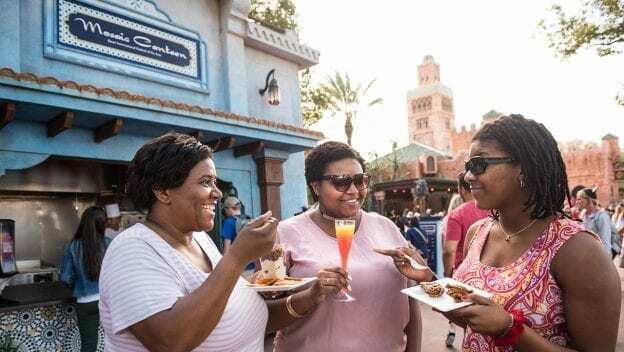 With the success of adding food and drinks to the Flower and Garden Festival, it’s no surprise that Disney has added “Food Studios” to the weekend’s line up. There are a total of 13 Food Studios that all have different art themes with the food presentation. There are also plenty of additional festival food items that are available throughout World Showcase. Festival food and drink prices vary. Your Disney Dining Snack credits would be well used here, though not all items are eligible as snack credits. Check the menu boards to see if it qualifies as a snack credit. What would be an Epcot festival without the opportunity to purchase event merchandise? All throughout the park, you’ll find event merchandise that includes Tervis tumblers, hats, t-shirts, posters and more. Festival Merchandise can be found in the Art of Disney (Future World West), Mouse Gear (Future World East), Odyssey Festival Showcase. Kids can get in on the fun with a very special Kidcot experience that has been reimagined just for the Festival of the Arts. Kids can pick their palette, grab their brushes and create their own masterpiece throughout World Showcase.